You’ve researched all the best AR-15 parts, assembled them into the ultimate rifle, complemented it with nice window dressings, and maybe even given it a name. (We name all of our ARs after Rolling Stones albums -- “Sticky Fingers” is our favorite.) After putting so much intense care into your rifle, you deserve to see exactly how straight it can shoot. 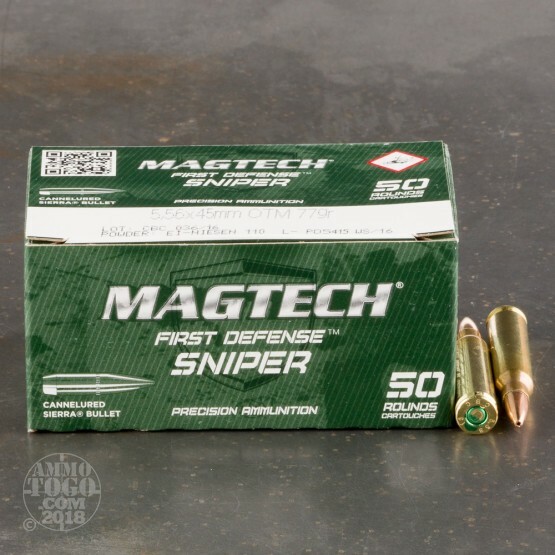 For that, you need this 5.56x45 cartridge by Magtech. 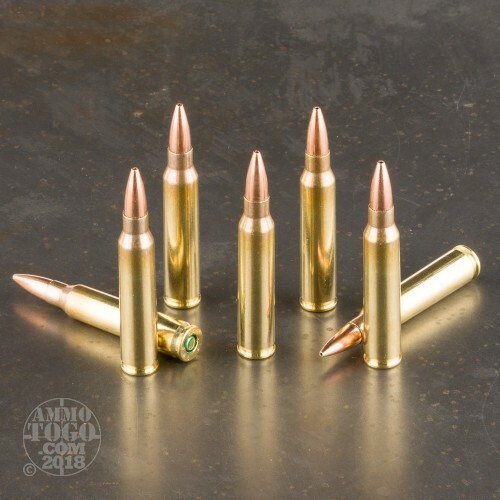 This round’s 77 grain projectile is a MatchKing, Sierra’s end-all target shooting bullet. 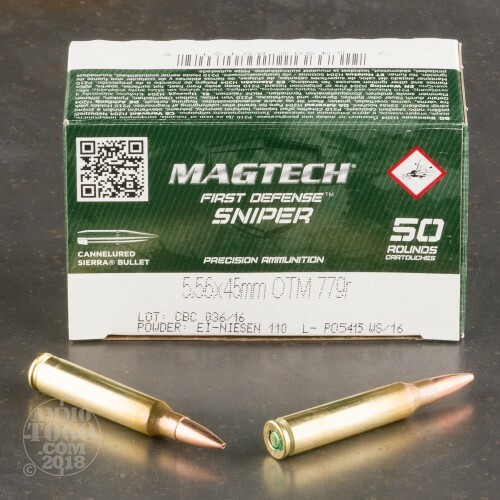 It owes its extreme accuracy to its virtually flawlessly concentric jacket, narrow hollow point meplat which immunizes it greatly against wind deflection, and boat tail design which increases its ballistic coefficient measurably. The end result? The flat trajectory, downrange velocity, and wind drift resistance you need to turn targets into Swiss cheese. 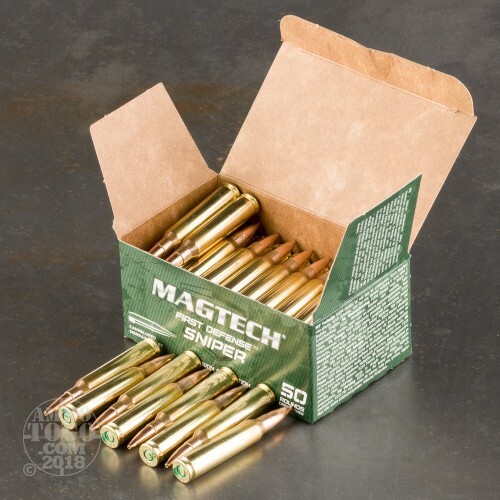 This round further offers a brand new brass casing, which is uniform in its dimensions for smooth feeding and perfect for handloading. Its primer is non-corrosive to spare your nice rifle’s action from abuse, and its propellant delivers a remarkably consistent chamber pressure.